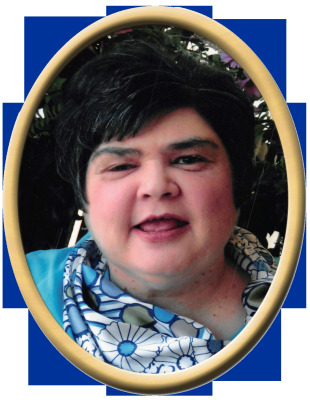 Karen Lynne Baker, 63, of Laceys Spring, passed away Wednesday. She was preceded in death by father, James Baker, mother, JoAnn Baker, and brother, Gregory Baker. Surviving are numerous aunts, uncles, cousins and friends, and special thanks to her extended family at Barfield Health Care for all of their care and support during her time with them. Visitation will be Saturday 1:00 PM to 3:00 PM at New Hope Funeral Home. Services will be held at New Hope Funeral Home Chapel, Saturday at 3:00 PM with Rev. Radford Pritchett officiating. Interment will be in the Baker Cemetery. Pallbearers will be Johnny Keller, Gregory Smith, Stanley Smith, Richard Hatcher, Alan LaFarlett, and David Layne. In lieu of flowers the family would like memorial donations to be made to Barfield Health Care. "Email Address" would like to share the life celebration of Karen Lynne Baker. Click on the "link" to go to share a favorite memory or leave a condolence message for the family.